Get ready for a huge nostalgia bomb. 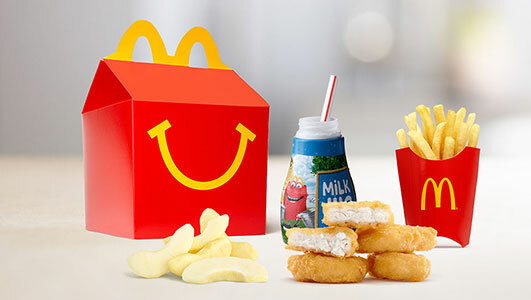 If you are/were a kid that lives, pretty much anywhere in the world, you have probably eaten at McDonalds more than just a few times. 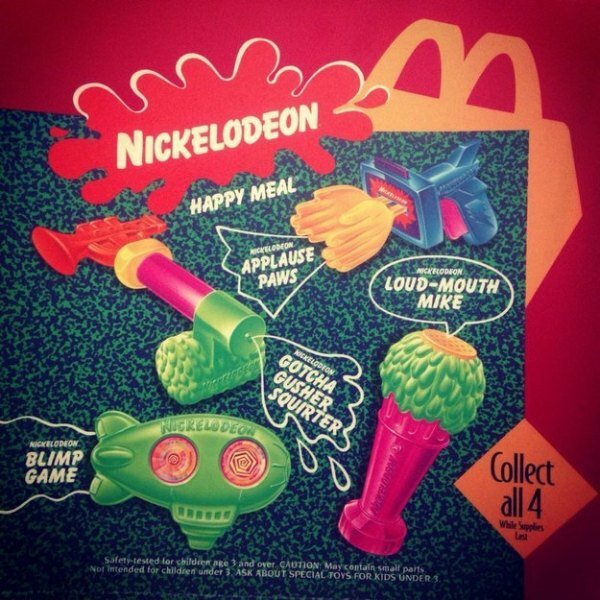 I remember as a kid I would love to go there and get a Happy Meal, Toys used to be the best part. 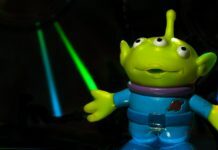 I wanted to write this because recently McDonalds renewed their contract with Disney witch means, you guessed it, NEW DISNEY TOYS! There was a long while where I don’t think they were offering anything good. 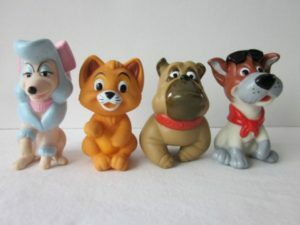 I loved these guys. 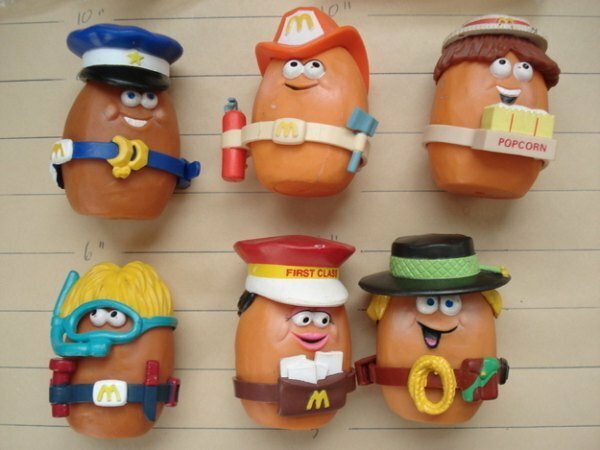 They had little dress up capability but what kid doesn’t like to give their food a personality and play with it? 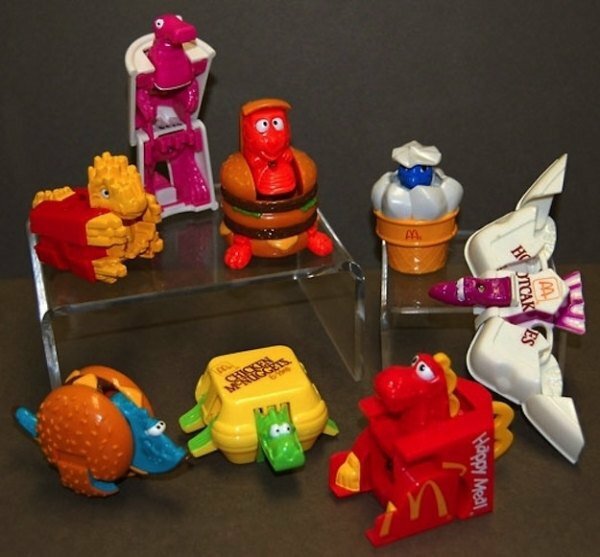 I must have had McDonald’s a lot at age 3 because I had all of these. How can you hate mondays with these adorable little guys to play with? How? 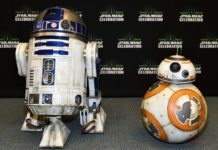 I know these aren’t Disney but look at them, aren’t they so cute! 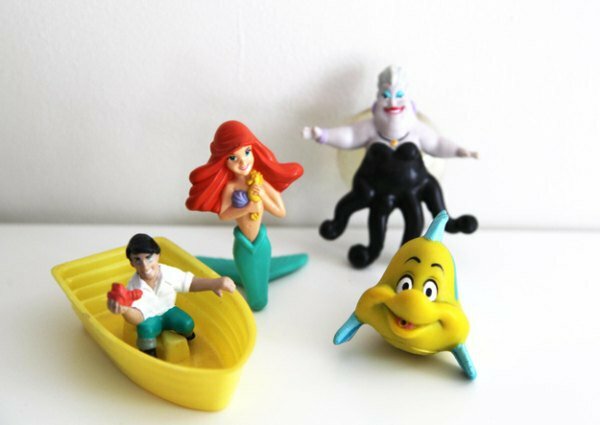 I can’t tell you how many times I used flounder to fill up Prince Eric’s boat and drown him in the tub.. Not as dark as you think, come on guys, Ariel always saved him. 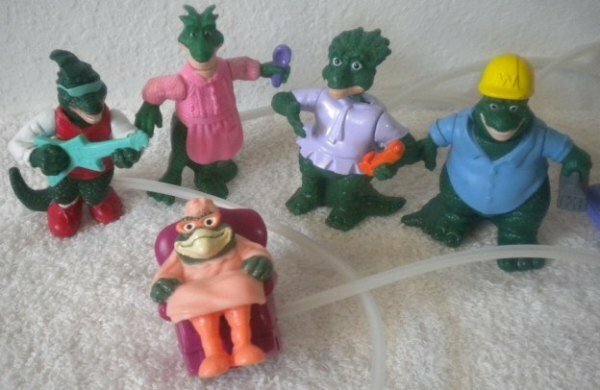 Also remember how fun it was to bend back her tail and watch it go back into place? No? Just me? 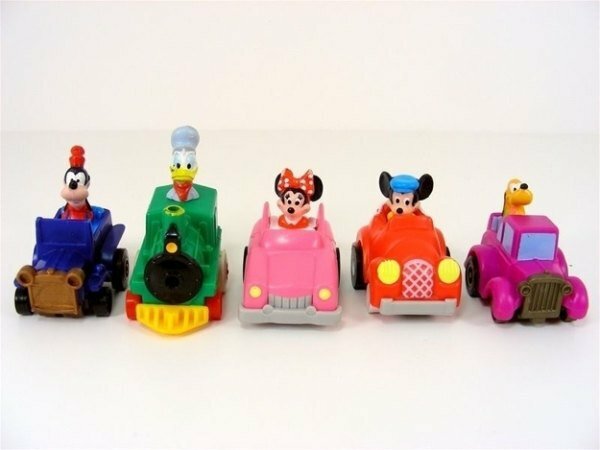 If I remember correctly these were the cars you could pull back and let go and they would zoom forward. 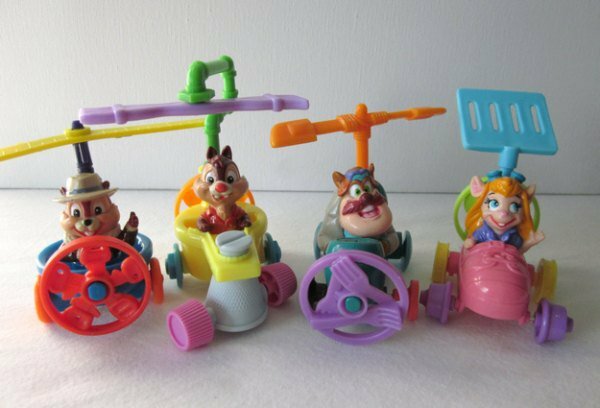 Keeping with the theme of Cars in happy meals, these Tiny toon cars were great! 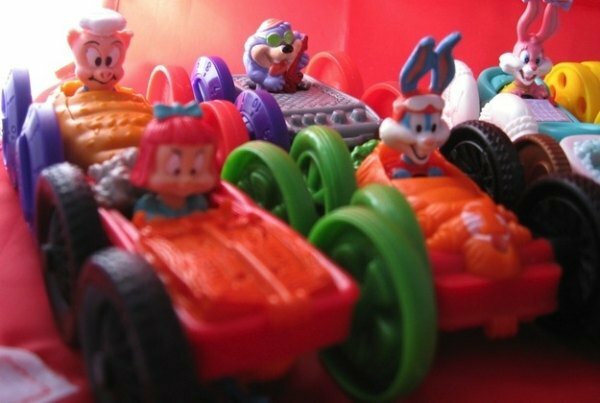 The only issue I had was when I liked both sides of the car, and couldn’t choose which character to display/play with. Ok this one is obviously because um, DINOSAURS ARE FREAKING COOL. If you didn’t annoy your little brother by clapping these hands, or using the megaphone to announce every time he entered a room I feel sorry for you. 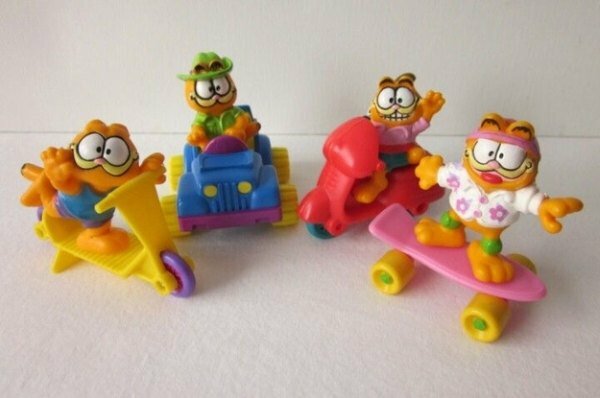 These were some of the most fun toys they put out. Let me know what some of YOUR FAVORITES are in the comments! Dude, Where’s My Aquaman Trailer?